Complete management systems for stores and supermarkets that include: a HeadOffice system, a BackOffice system, PoS systems, BBI solutions, TraffiCounter. Complete management solutions for petrol stations. Master Computers is the first Romanian company that has developed forecourt controllers for fuel pumps. Innovative ERP solutions for managing business resources, solutions that provide a high degree of customization and adaptation to the specificities of each business. POS System for fuel stations. 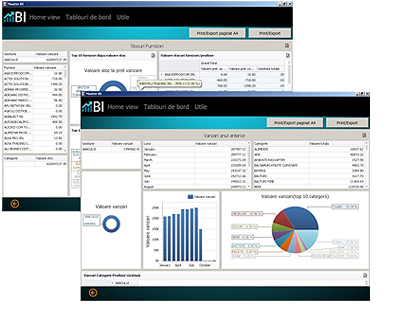 Backoffice system for stock management. Solutions for fast and accurate business decisions. Integrated management system for chains of stores and fuel stations. Management system for outdoor payment terminals. The system is a modern and efficient solution that fully covers the requirements of a store, concerning sales management and transfer of data. Master Computers, the leader in management systems for petrol stations, is the only Romanian company that has achieved such a system with over 500 implementations. 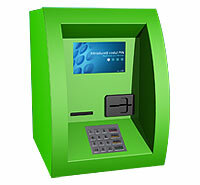 Payment terminals for public stations or in-house fuelling service. Its technical performances, robustness and ease of operation guarantees unbeatable price / performance ratio. Master Computers provides minimal systems allowing sales and product management. You can use fiscal printers and cash registers to issue tax receipts. The solution may consist of one hardware system or a network of POS systems and a management system. 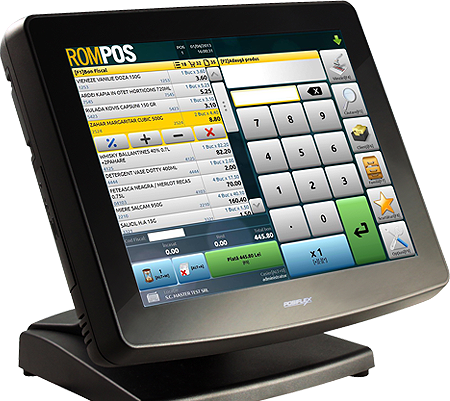 Due to its flexibility the system can adapt to the specific requirements of each customer. Thus, its performance is a guarantee of the investment. Implementing the Master Computers retail solution yields immediate benefits, determined by increased sales volume and cost reduction. The complete solution for shops and supermarkets will fully cover the requirements for sales activities and data management. Apart from the classical structure, we have developed complex fidelity modules for your customers and analysis / control of the business modules. The solution for chain stores includes complete systems for managing sales and products. The HeadOffice system deals with the processing of information about sales, inventories, orders, distribution, loyalty points and promotions. It also provides price control and price modification in real time. Moreover, due to the adaptability of the systems developed by Master Computers, there is the possibility of interfacing with any Enterprise Resource Planning system (Oracle, SAP etc.) or interface with any accounting software or in-house type. The proposed systems ensure the effective operation of your business, by easing the administration and operating systems. The system allows optimization of all processes, inventory accuracy and manages to eliminate possible errors. Due to the flow of transactions, we recommend using Epson fiscal printers, recognized worldwide for its high performances. We developed an electronic pump control module that allows operating the fuel pumps, the price displays and the level measurement systems in tanks. This module is available for all types of fuel pumps. 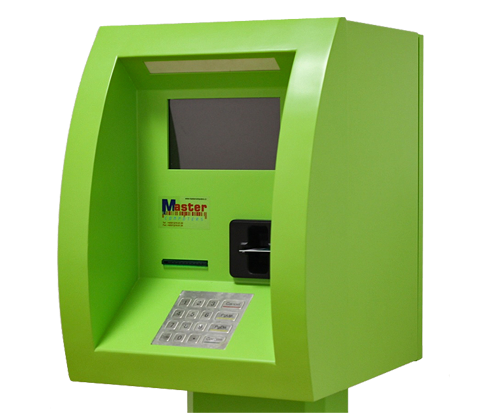 Master Computers is the leading developer of management systems for petrol stations. We are the only Romanian company that has entirely achieved such a system with over 500 implementations. 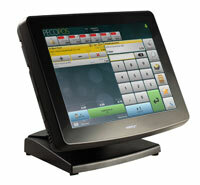 1 PC, on which the management application, GestPOS 2000, will run. I agree that Master Computers, based in Fagaras 25, will process my personal data entered in the newsletter subscription form Master Computers, a company that offers all entrepreneurs the opportunity to benefit both our products and solutions developed since 1999, whose successes over time have positioned us in the top of the retail industry in Romania, as well as the skills of our team of specialists who have 3000 successful implementations and extensive experience in software development, embedded systems, design and development of electronic modules, solution design tailor made, IT consultancy, as well as our service and technical support. My personal data will be used to provide information about company news via e-mail ". Consent to the processing of personal data and the provision of the data listed below are voluntary. This consent can be revoked at any time, with effect after a free notification to Master Computers. The notice of revocation of consent can be made, for example, by email to support@mastercomputers.ro. Please note that the revocation of the consent does not affect the lawfulness of data usage prior to withdrawal of consent (notification does not have retroactive effect). If consent is not granted or has been revoked, personal data will not be used for the above purposes. If you have any questions about this statement of consent or data protection by Master Computers in general, please do not hesitate to contact 0212.100.100 / 0788.222.211 / 0212.100.158. Some are essential for the site to work. We also use non-essential cookies to collect information that helps us improve our site.